If you’re that Star Wars fan who’s always looking to test the limits of what a healthy liver can sustain, we think you’ll look out of this world in the May The Luck Of The Irish Be With You t-shirt from Guerrilla Tees. The logo needs no explanation, and we’ve designed this one on black with Emerald green graphics to draw the attention of fellow fans. Treat yourself to a new Star Wars-themed drinking shirt or gift one to that friend who always has your back at the Cantina. 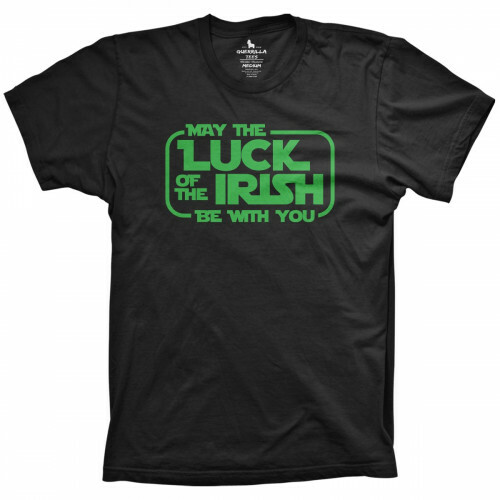 Check Out Guerrilla Tees Full Line of Funny St Patrick's Day Shirts! 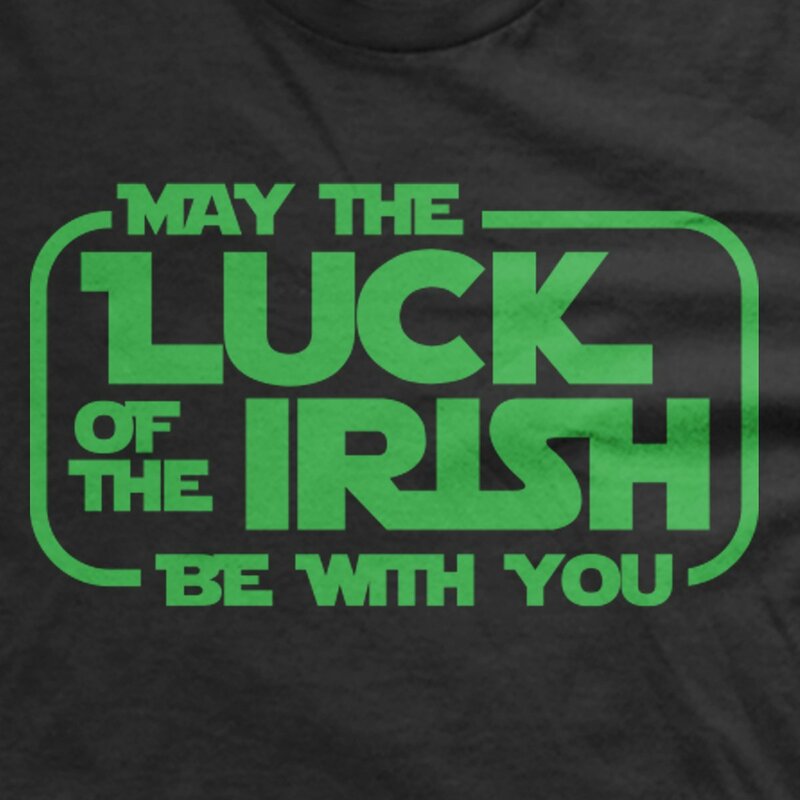 Need a perfectly original graphic tee shirt for this year’s St Patrick’s Day celebration? Check out Guerrilla Tees full collection of funny drinking shirts, Irish graphic tees and more!